Architecture is both the process and product of planning, designing, and constructing form usually of buildings and other physical structures. Architectural material form is often perceived as cultural symbols, works of art and achievements having qualities and characteristics of architecture, structural and architectonic. Carefully conceived to establish a positive impression, your physical environment is an important aspect of your business. The signage you choose to display must not only perform its fundamental task of directing and informing the public, but do so with style that strengthens that impression. 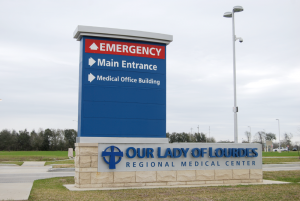 To that end, we offer the following materials, products, and sign types for architectural signage that can ensure ADA compliancy when needed, while giving you creative control. The art and science of designing your project is the task of our award winning design team at Pixus Digital Printing. Pixus has been in the forefront of architecturally grounded solutions featuring design, fabrication and technology for over 20 years. Contact Us to speak to a sales representative for more information about any of our products and services. Portions of this blog content are courtesy of Wikipedia and Scott Sign Company.